WILL I EVER SEE A WHITE-NECKED PETREL? I have just returned from a very pleasant (if totally unsuccessful) trip to Wollongong, hoping (but failing) to see a White-necked Petrel. Last July I wrote on these pages that I had five bogey birds. These were: the Rufous Scrub-bird (that I searched for again last October in Lamington National Park - again without success); the Short-tailed Grasswren (that I finally saw last September on Stokes Hill in the Flinders Ranges, thanks to Peter Waanders); the Black-winged Monarch (that I finally saw in November on McIvor River in far north Queensland, thanks to Martin Cachard); and two reprobate seabirds, the White-necked Petrel and the Slender-billed Prion, both of which still elude me. So, notwithstanding concerted efforts on my behalf, I still have three bogey birds. On Tuesday, when Rog and I set off for Wollongong, full of optimism, the weather forecast for the following Saturday was promising. It wasn't until Friday that things changed. Rog and I had visited Barren Grounds (where we failed to see Eastern Bristlebirds) and had just driven down the escarpment towards Wollongong when my phone rang. It was Brook, informing me that Saturday's weather forecast had changed: waves were now predicted to be 5 metres and winds 40 knots. The trip had been cancelled. I think I was quite restrained in the circumstances. I didn't swear. Much. Of course the obvious thing to do was to keep driving. To go directly to Hexham Swamp (near Newcastle) where a Buff-breasted Sandpiper had been seen recently. However, Roger is not a birder. He could not quite grasp the excitement of such an opportunity. He had undertaken to drive me to Wollongong, and this he had done. So Wollongong it was, without the pelagic trip that had lured me there. Now the President of SOSSA came to my rescue, bless him. He offered to take me to Bass Point (in Shellharbour, just south of Wollongong) to try seabird watching from onshore. That suited Roger fine: I'd get my seabird fix and he wouldn't have to do anything. 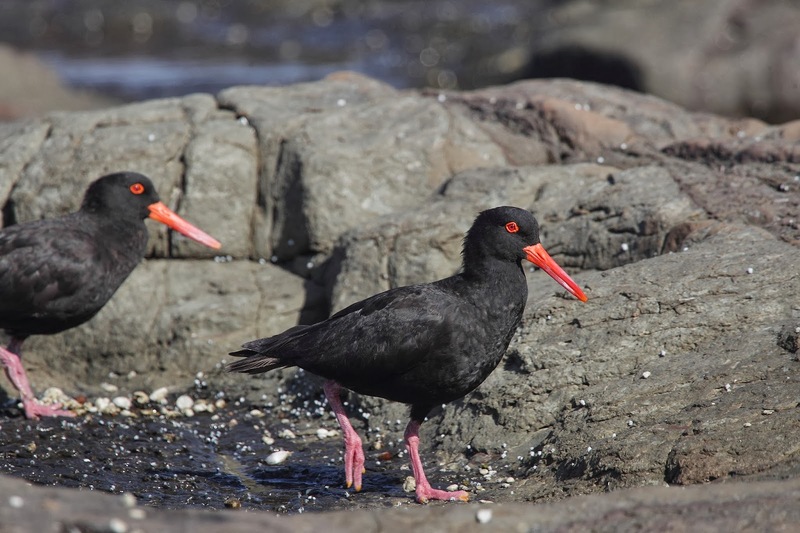 That is where Brook took this fantastic photo of Sooty Oystercatchers, one of the very few birds I could identify on the day. I haven't done much seabird watching from onshore before. In fact, I have never set out to do it at all. It just happens that from time to time I've spotted an albatross at sea and spent some time trying to identify it, then greedily wanting more. It is always a most frustrating past-time, and never more than on this particular Saturday. Remember that conditions were too rough for us to go to sea. On land, it was extremely windy. Some people might call it invigorating. Sitting in our deck chairs, scanning the horizon, raising our voices to be heard over the wind, we did not regret that we were on terra firma. I can only imagine what it would have been like in a small boat on those enormous seas. Our scope blew over a couple of times, and if we were careless enough to stand up and not keep a hold of our chairs, they were very quickly off on their way to New Zealand. Then there is the small problem of identifcation in these less than ideal conditions. I have always believed that it is quite impossible to identify a dark shearwater from land. They all look the same to me. (Let's be honest, they all look the same to me from a small boat at sea.) I just say 'shearwater,' while Brook confidently proclaims 'Wedge-tailed' or 'Short-tailed.' We saw a few albatrosses - one Black-browed and a couple of Shy. And there were several Australasian Gannets. And of course there were gulls and Crested Terns and the odd cormorant or two. Once, just to get my heart pumping, we saw a bird with white underparts. It was, we decided, a Fluttering Shearwater. And some noisy Yellow-tailed Black-Cockatoos landed in the banksias behind us, just as the Sooty Shearwaters arrived on the rocks in front of us. Both very beautiful birds. And easily identified! So, thanks to Brook, my trip to Wollongong was not wasted at all. I enjoyed a pleasant afternoon attempting to identify shearwaters. 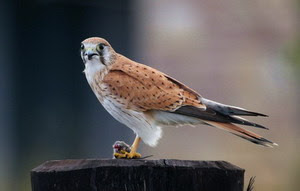 And, of course, hoping that, out of the blue, some special bird would fly inshore close enough for me to identify it. It is this cockeyed optimism that keeps birders birding. I am planning another trip to Port Stephens in April. 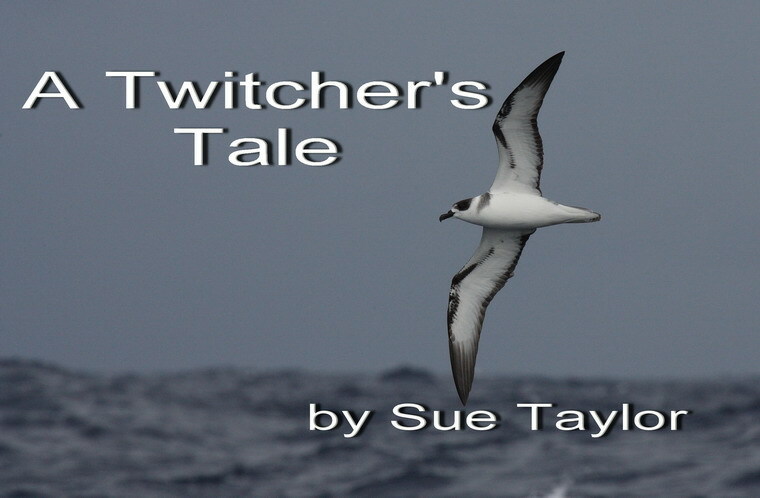 After all, Richard Baxter did tell me that White-necked Petrels were 'guaranteed' in Port Stephens in April. This morning I visited Jell's Park in Wheelers Hill. I like to go here each summer as Australasian Darters nest on an island in the lake. I counted 22 nests this morning, and I'm sure I missed some. Young birds, apparently fully grown, spilled over out of the untidy stick nests, up to three birds in each one. Jell's Park is in Wheelers Hill, 22 kilometres south-east of Melbourne. I would have liked to have included it in my top 100 birding sites, but I just couldn't fit it in. The bird list has 124 species, which doesn't include White-throated Needletails which I saw one day circling above the transmission lines. The park is part of the Dandenong Valley Metropolitan Park and comprises 127 hectares of open space and picnic areas with some remnant bush along the Dandenong Creek. There is a large lake and fishing is permitted from the jetties. It is very popular, boasting over 900,000 visitors each year, which puts it in contention with Victoira's top tourist attractions. I had thought, until this morning, that it would not be possible to visit Jell's Park without seeing (and of course hearing) Bell Miners. But the colony has moved on. Not one tinkle did I hear this morning. Noisy Miners seem to have displaced them, temporarily at least. Freckled Duck were reported on the lake some months ago, and I was delighted to see one loafing on a dead branch this morning. It is always a thrill to see Freckled Ducks, although I reckon they are our laziest duck, real lounge lizards of the bird world. The sky was grey and I stayed only half an hour. So I cannot complain that I did not hear any cuckoos or Sacred Kingfishers, which I expect in summer. I didn't really give them a fair go. I did hear Laughing Kookaburras - they are always hanging around the picnic area. And of course I was greeted in the car park by Grey Butcherbirds and Rainbow Lorikeets. Grey Fantails were everywhere and one aggressive Red Wattlebird chased a beautiful male Golden Whistler across the path right in front of me. I have had some good sightings this year. I visited Blackburn Lake with my cousin to add the Nankeen Night-Heron to my list and my cousin pointed out a Tawny Frogmouth roosting in a gum tree.﻿ Roger and I went to Werribee looking for the Broad-billed Sandpiper and Long-toed Stint that had been sighted. We dipped on both of these, but we had fantastic views of Spotted, Spotless and Baillon's Crakes. I visited Banyule to see Latham's Snipe, and added a Buff-banded Rail too. So, 2014 is still looking good.